Hosted by Wade Myers, a Harvard MBA, sought after business consultant, and serial entrepreneur, Family Works features expert analysis of the day-to-day business lives of enterprising families and the unique challenges they face. Marked by a pioneering spirit and the lively dynamics of family relationships, these stories of families working together provide a fun and unique view of family life. Especially relevant as more and more families are exploring entrepreneurial opportunities, Family Works inspires and encourages both aspiring and current entrepreneurs - or those that simply enjoy the blessing of families working together. Three inspiring family businesses are featured in this Family Works volume. First, travel to the big sky country of Montana to learn the inspiring story of Bryce DeGroot and Compass Advisors. Next, head to the northwest to explore Seraphim Energy, as the Lewis family ventures into the field of alternative power. Finally, meet the Davis family in the heart of Georgia, where their family legacy is lived out in their unique agricultural enterprise, Agstrong, LLC. Family businesses are among the most enjoyable and fascinating entrepreneurial endeavors to observe. Built with a pioneering spirit and the lively dynamics of family relationships, the stories of families that work together provide a fun and unique view of family life. 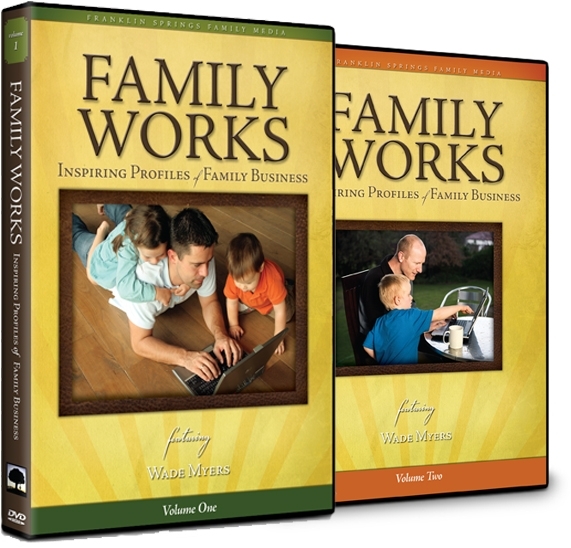 The Family Works Series is a captivating blend of entertainment, inspiration, and practical business instruction that features business profiles from a variety of family enterprises.